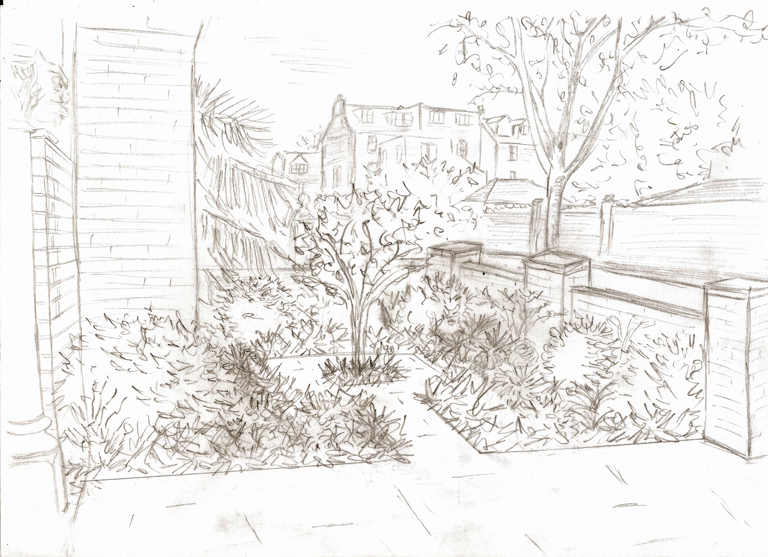 You may remember that I helped a client in Wandsworth to redesign their terrace last year. They were part-way through an extensive house building project and now that it’s all finished, they have asked me back to help them to redesign their front garden. 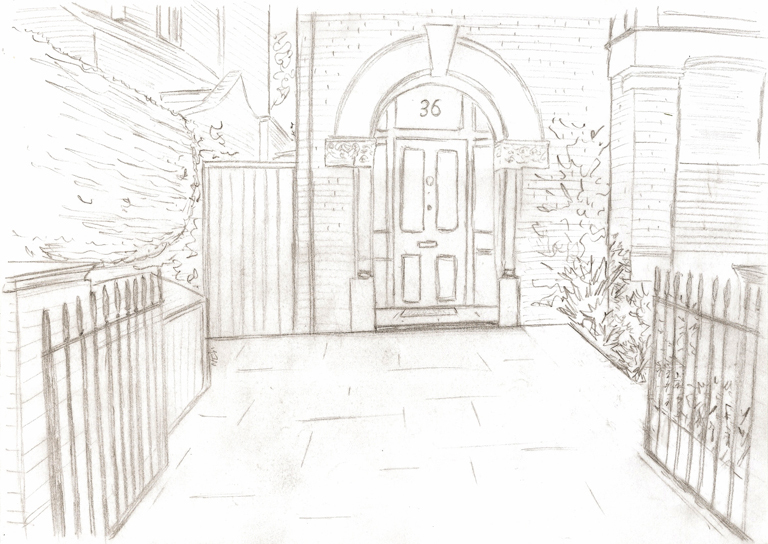 Being a London town house, the front garden is quite small, but there’s just enough space to park a small car. When there’s a car parked on the driveway, it makes access to the front door quite tight so I’ve widened the driveway slightly to make it more comfortable to navigate. The front garden serves as the window to the house so it must look inviting and attractive at the same time as meeting all the functional requirements front gardens must have. The area outside the lounge window is currently a bit shabby and the planting has taken quite a battering from the builders who used the space to store materials. The new design will make the approach to the house more inviting and the planted area will provide an attractive view from the lounge window. The focal point in this area will be a small tree. 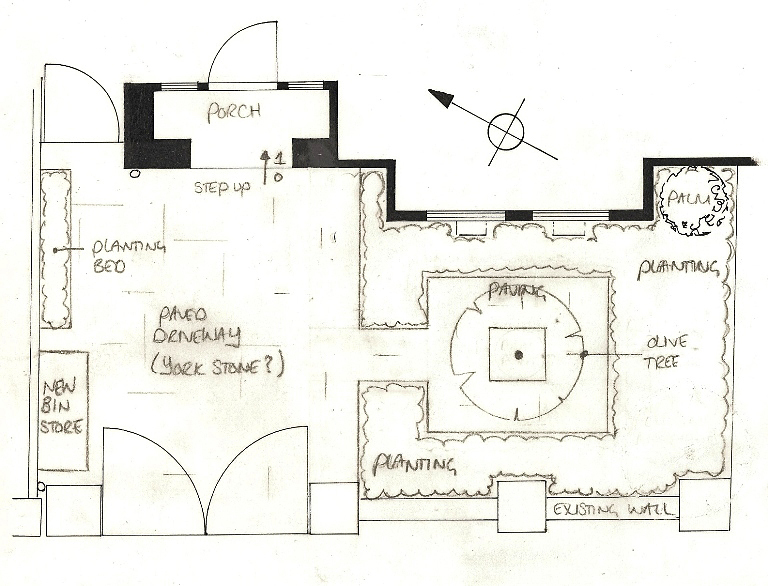 We are yet to choose the paving, but have been considering a sawn york stone which will match in with the existing threshold step and give the classical architecture a modern twist. This project is due to be built in early September so I’ll keep you updated with photographs as it progresses. Weather permitting it will take approximately 2 weeks to complete.